Happy warm weather to all of you out there! I know that snow storm last week gave us all a run for our money…but it looks like the sunshine is back in full strength! I wanted to give everyone an update as to what’s going on at Pierpont Place and with Premier Event Services during this fabulous month of March! We’re really excited to be able to explore our creative abilities this month, with an eclectic mix of events and styles – you’ll have to stay tuned to see the collage of our event designs, themes, and unique concepts! Here’s a little bit of detail about what you can expect to see! 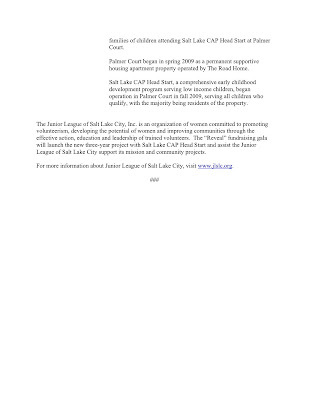 -As many of you may know, we host the monthly breakfast meetings for the UWABC (Utah Women’s Alliance for Building Community) at Pierpont Place and, as always, this is a fabulous way to kick off the month. So thank you to all these wonderful, powerful, and aspiring women for coming to converse and eat with us on March 2nd. If you’re interested in learning more about the group, visit www.uwabc.org to see upcoming events, current members, and goals of the UWABC. It’s a great organization for women (and men, they don’t discriminate!) who are interested in learning more about what’s going on in the community, how to get more involved, and how to meet other people with like interests! Tuesday, March 9, we’re hosting a private social mixer. For those of you who are coming, we can’t wait to see you! 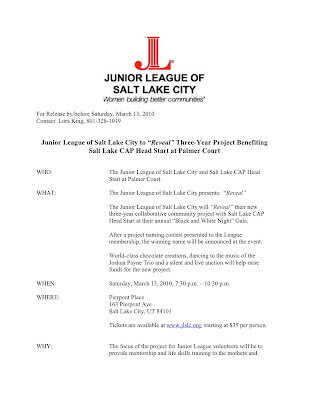 Saturday, March 13, Pierpont Place has the honor of hosting the Junior League’s “Black and White Night” Gala, an event where the Junior League’s three year collaborative project to support Salt Lake CAP Head Start program. This admirable support project will be introduced, officially named, and made public at this once-a-year event, complete with world class chocolate creations, dancing to the music of The Joshua Payne Trio, and a live and silent auction! Tickets are still available, starting at $35/person, at www.jlslc.org. Please see the press release at the bottom of this blog post! Friday, March 19, will be an incredible night of love, dancing, great food, and more, as we celebrate a private wedding for Jade and her fiance! We can’t wait to show you all pictures of the gorgeous decorations we have picked out with her! Saturday, March 20, we are thrilled to be hosting West High’s Junior Prom, themed “Where the Wild Things Are!” Creating a forest wonderland of sorts, we can’t wait to have all these young bright-eyed students at Pierpont Place to celebrate their dance night! On Sunday, March 21, one of our preferred photographers, Brody Dezember, is coming to be a part of one of our unique and eclectic wedding ceremonies. Rachel and Blake have shown us their personalities as we have planned this great affair – and we can’t wait to see it happen! Dezember Photography’s bridal and groomal pictures of Rachel and Blake show a fabulous edgy and artistic perspective of this charming couple, and we can’t wait to see photos of the wedding itself! After this busy weekend, huge events Friday, Saturday, and Sunday, our staff will be glad for a little break! However, we still have a number of events on the books – so we’ll be jumping to attention! As always, if you have an event coming up and you’re looking for a perfect combination of classy and modern chic – check out www.pierpontplace.com for ideas, and give us a call! We’d love to show you around, and make sure that you know how great your event can be at Pierpont Place or with Premier Event Services!